March is women’s history month and in collaboration with the Vermont Women’s History Project, researching historic Vermont "Women of the Lake" in honor of the Lake Champlain quadricentennial, VPR will air essays about five women who figured prominently in the settling, development and culture of the Champlain Valley. 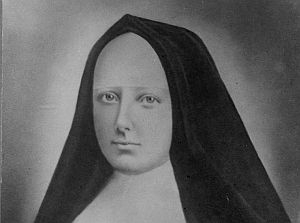 Fanny Allen, privileged daughter of Ethan Allen was not brought up to be religious, but became a nun and devoted her life to service, nursing soldiers in the war of 1812. The hospital in Colchester is named for her as told by writer and historian Cyndy Bittinger. Philomene Daniels, first-in-nation female Steamboat Pilot and Captain on Lake Champlain, as told by Julia Lewandoski, a freelance writer and researcher living in Burlington’s Old North End. Florence Weld, longest-serving director of Camp Hochelaga on Lake Champlain. Researched, written, and told by Mrs. Weld’s granddaughter, Joan Curtis, a visual artist who is part of the active art community in Brandon. Sadie White, Winooski mill worker, state legislator, and preservationist as told by Julia Lewandoski. Grandma Lampman was an Abenaki woman who lived in the Swanton area and was well known for her knowledge of tribal customs and medical herbs. A plaque marks her house today. Her story is told by her great-granddaughter, Louise Lampman-Larivee.